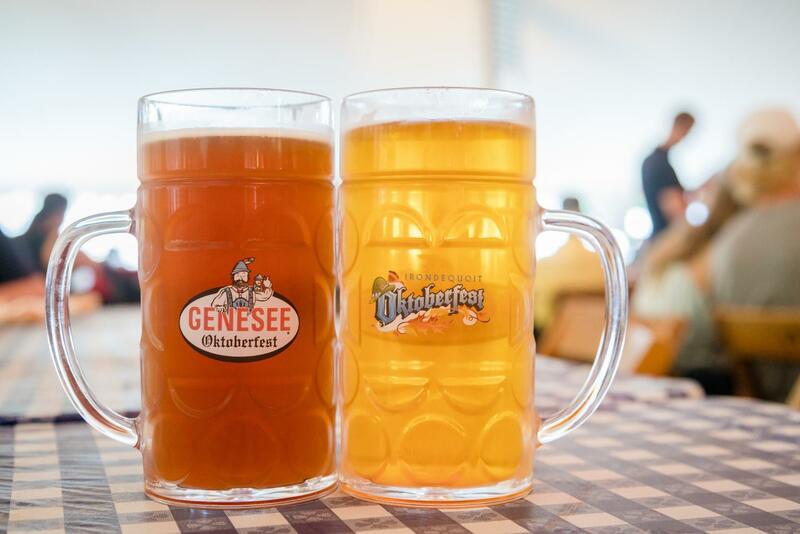 Two of the many beers available at the Irondequoit Oktoberfest celebrated on September 10, 2016, in Irondequoit, N.Y. Photograph by Rob Rauchwerger. Food and drink coupons offered at the Irondequoit Oktoberfest on September 10, 2016, in Irondequoit, N.Y. Photograph by Rob Rauchwerger. 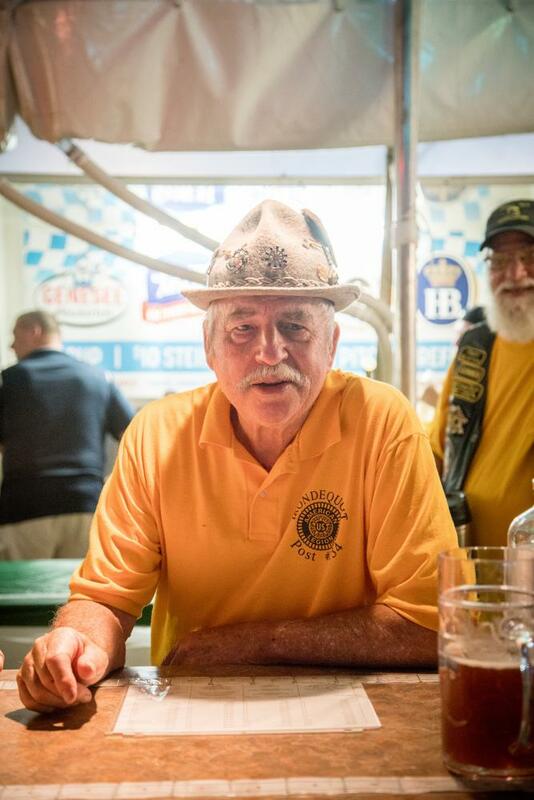 Veterans were hired to help vendors at the Irondequoit Oktoberfest on September 10, 2016, in Irondequoit, N.Y. Photograph by Rob Rauchwerger. A child watches a performer at the Irondequoit Oktoberfest on September 10, 2016, in Irondequoit, N.Y. Photograph by Rob Rauchwerger. 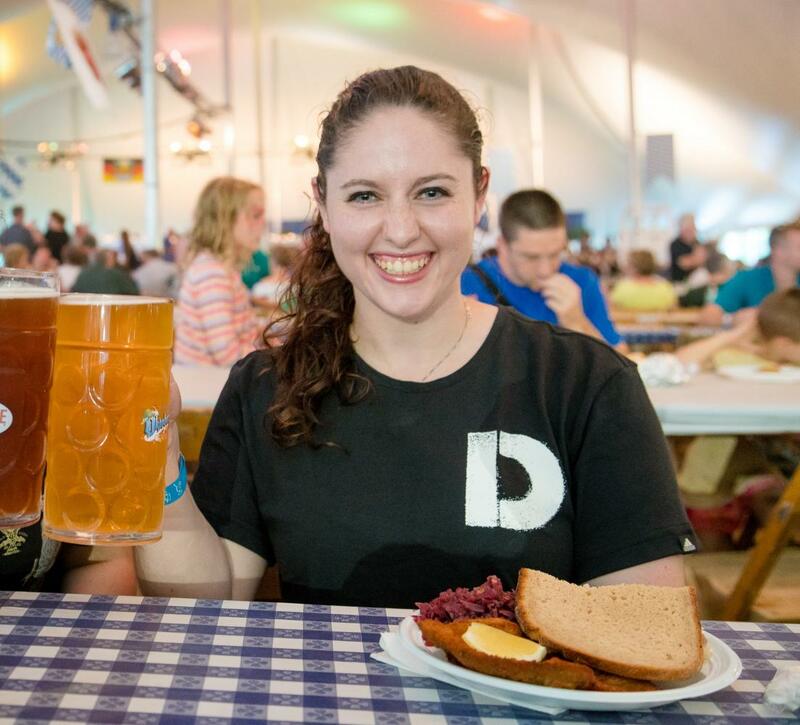 Rebekah Geller enjoys one of the several beers offered at the Irondequoit Oktoberfest on September 10, 2016, in Irondequoit, N.Y. Photograph by Rob Rauchwerger. An accordion player performs at the Irondequoit Oktoberfest on September 10, 2016, in Irondequoit, N.Y. Photograph by Rob Rauchwerger. 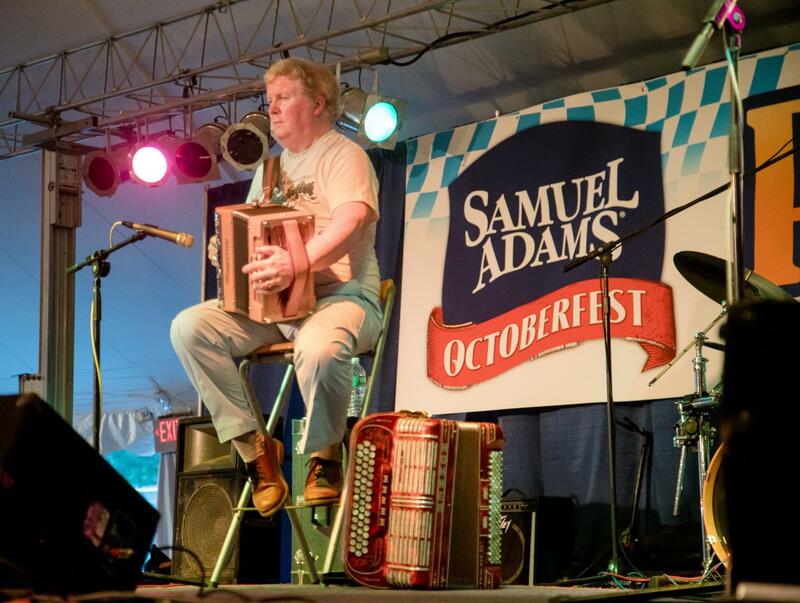 Rochester is hosting two Oktoberfests this year, filled with beer, dancing, singing and a whole lot of accordion. ​The two festivals will take place in Irondequoit and Fairport. 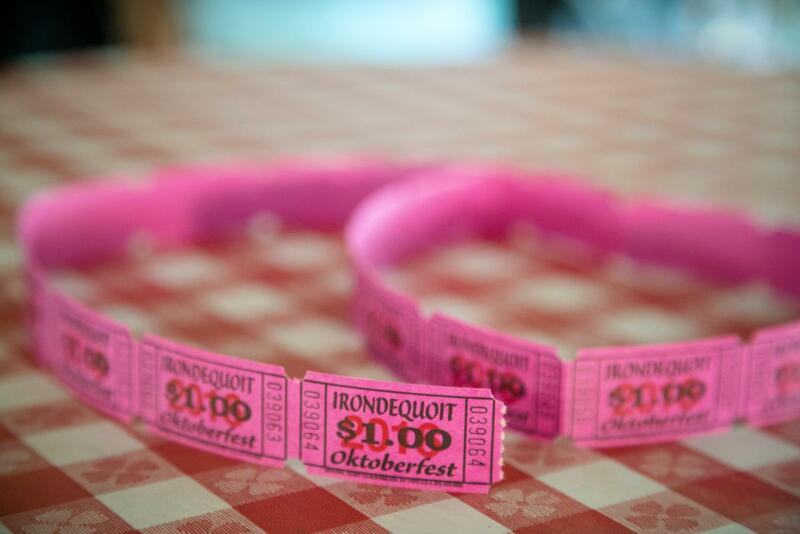 Irondequoit Oktoberfest runs September 9 and 10 and September 16 and 17. It is Rochester's largest Oktoberfest celebration and it takes place in Camp Eastman on Lake Ontario. The fest hosts authentic German bands and performers as well as both imported and local beers. A local food market, Swan Market, caters authentic German cuisine, but American options are available as well. The fest gathers large crowds of people both young and old under its tent and has been running annually for 19 years. 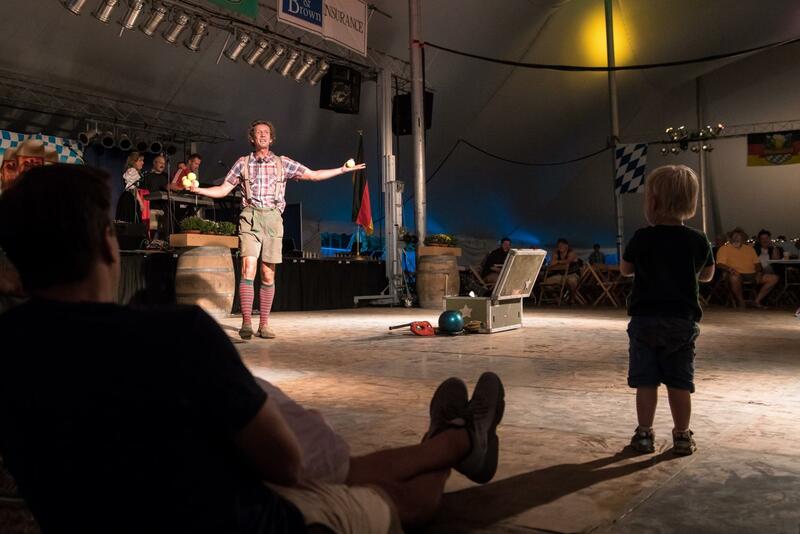 Fairport Oktoberfest, entering its sixth year of celebration, takes place on September 30 and October 1 at the Fairport Junction Festival Site. This event features many similar vendors as in Irondequoit (including Swan Market), but will also feature food trucks this year. The Fairport fest will be smaller and more intimate, and will switch from German to rock 'n' roll each night at 9 p.m. as they welcome local rock bands to the stage. To learn more about Oktoberfest and how Rochester celebrates, check out our article in Reporter's October issue this October 7.
Leisure Editor. Claire is a 4th year Psychology major. When she isn't working on research or writing, this California kid is most likely watching hockey, at Wegmans or playing in the snow.